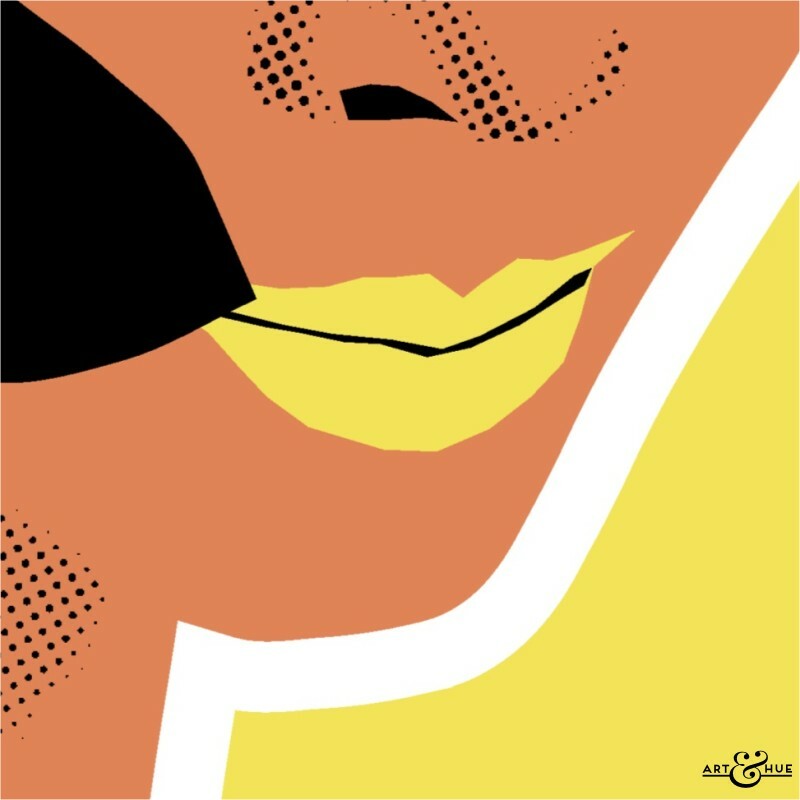 Donyale Luna minimal stylised graphic illustration. 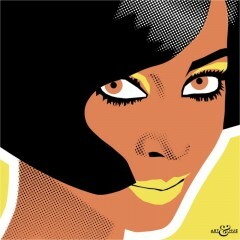 Pop art print of the iconic 1960s model, part of the 1960s Models pop art collection. Donyale Luna holds the distinction of being the first black model to appear on a cover of Vogue. 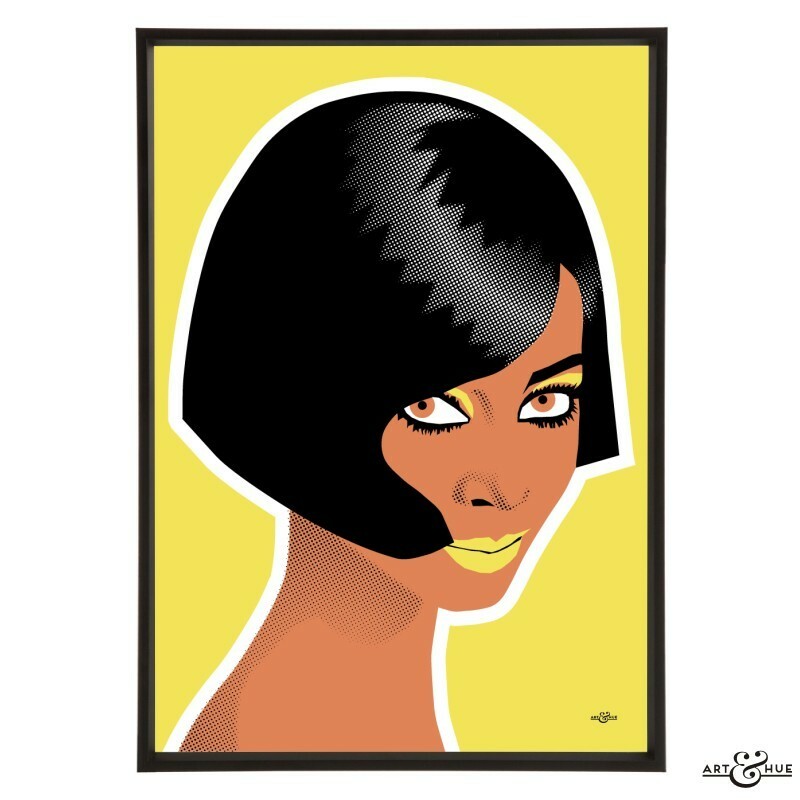 Called “the reincarnation of Nefertiti” by surrealist artist Salvador Dali, Donyale travelled from America to London in 1965 and broke boundaries as the cover model of British Vogue in March 1966. Donyale was also the first black woman to have a shop-window mannequin created in her image – just after the mannequin of Twiggy in 1966, Adel Rootstein released the Donyale version. As well as her career in fashion, the African-American model appeared in films by Dali, Andy Warhol, and Federico Fellini.